Wee Angus was abandoned at a local shop, when he was still too young to be away from his mother. A concerned employee contacted BCR, and we ran right over to get him! Angus is an incredibly delightful little guy. He loves to play, and entertains everyone around him with his kitten antics. He gets a special kick out of pouncing on his canine foster brother's tail, or tagging his feet when he runs in his dreams. Angus also loves to snuggle! He especially loves the nubby fleece blanket on the couch, and will curl up on whoever is under it, and suckle the blanket. Its pretty stinking cute. 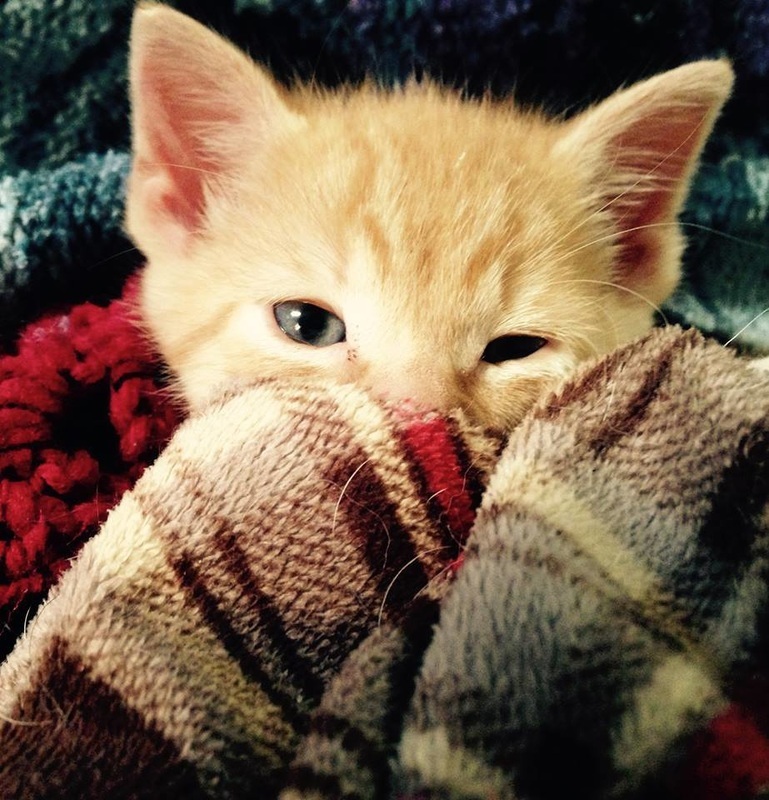 Most nights find this charmer curled up under the blankets sleeping against one of his foster parents bellies. Angus MacGallifrey is searching for his lifelong companion....is it you?